The LCS is finally back. Nicolaj Jensen kicked off his 2019 season by beating his former team as Team Liquid took down Cloud9 in the 2019 LCS Spring Split opener. Jensen left Cloud9 this winter after three years of service to join back-to-back LCS champions Team Liquid. He was now faced with defeating his former team in his debut match under the Liquid brand—and, boy, did he deliver. Armed with the mid lane Cassiopeia, Jensen dominated his Cloud9 replacement Yasin “Nisqy” Dinçer all throughout the laning phase. Jensen continually found favorable trades against Nisqy’s Zoe and was able to easily fend off Cloud9’s mid lane gank attempts. Jensen’s mid lane dominance was coupled by Liquid AD carry Yiliang “Doublelift” Peng stomping bot lane, and even getting a solo kill onto Cloud9’s Zachary “Sneaky” Scuderi. With leads in two lanes and a top lane Sion itemized to soak up damage, Liquid were ready to teamfight. 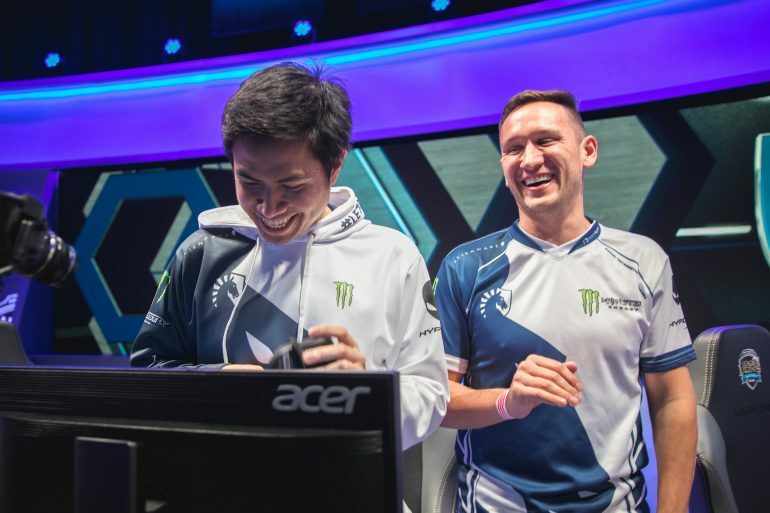 Team Liquid easily translated their laning success to teamfights, catching Cloud9 jungler Dennis “Svenskeren” Johnsen. Cloud9 tried their best to out-teamfight Team Liquid, but time and time again, their damage was soaked up by Jung “Impact” Eon-yeong’s Sion. Team Liquid’s teamfight victories awarded them Barons and turrets. These advantages slowly added up, with Liquid knocking out Cloud9’s Nexus turrets after 35 minutes. With their first win of the season accounted for, Team Liquid will prepare for their next match against CLG, which is set for Sunday, Jan. 27 at 4pm CT.